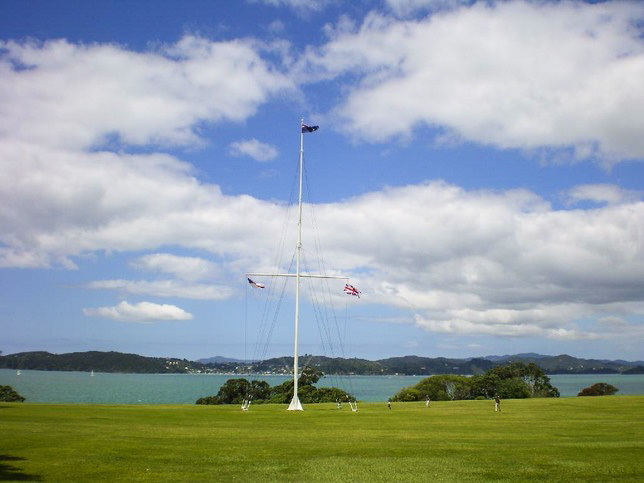 When you visit Waitangi, you are visiting one of New Zealand’s most important historical locations. Waitangi is renowned for being the site where New Zealand’s founding document, The Treaty of Waitangi, was signed on 6th February 1840. New Zealand commemorates this day as a national holiday, Waitangi Day, every February. 40 Maori chiefs signed the Treaty on that day (a further 500 signed it over the next six months), along with representatives of the British Crown, and this enabled New Zealand to be formally set up as a nation state. The treaty grounds still exist today and are the perfect place to start your visit. You have the opportunity to explore the beautiful grounds themselves, as well as visiting the Treaty House, the Carved Meeting House, the Ceremonial War Canoe, the flagstaff on the spot where the treaty was first signed, and the recently-opened Museum of Waitangi. The Treaty House was where James Busby, the British Government’s representative, lived and conducted business between 1833 and 1840. Several rooms in the Treaty House still look as they would have in 1840. A carved meeting house (Te Whare Runanga) faces the Treaty House and recognises the Maori participation in the treaty. The intricate carvings within the meeting house have symbolic meaning for New Zealand’s Maori people. The treaty grounds front onto Hobson Beach. You will find a 35-metre long ceremonial war canoe (waka) beside the beach. 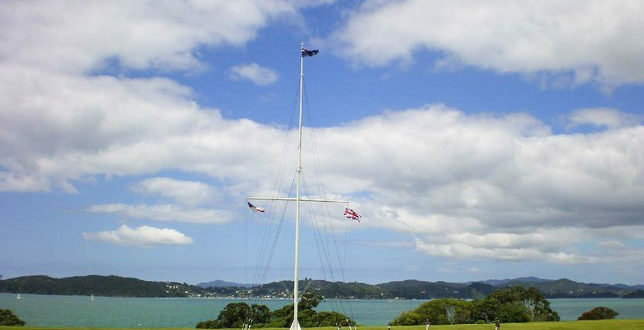 It is launched every Waitangi Day as part of the celebrations. It needs at least 76 paddlers to handle it safely. Technically, because the Queen designated the waka as ‘Her Majesty’s Ship’ in 1974, it is considered part of the Royal Navy. The Te Kōngahu Museum of Waitangi opened in 2016. It narrates the stories of Waitangi, with high-quality exhibitions giving a multimedia experience. The main exhibit, taking up the entire ground floor is Ko Waitangi Tēnei – This is Waitangi. You can buy a Day Pass that gives you access to all of the above activities, along with an informative guided tour, a 30-minute cultural performance, bush walks on elevated pine walkways amongst giant punga ferns, and spectacular views of the Bay of Islands. You have an opportunity to be further immersed in Maori culture each evening by purchasing a Hangi and Concert ticket. 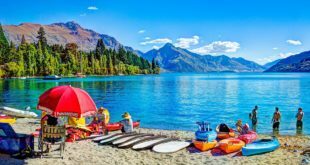 This activity includes a traditional Maori challenge, a buffet dinner cooked in the Maori traditional way (hangi) and a performance by a Maori performing arts group. 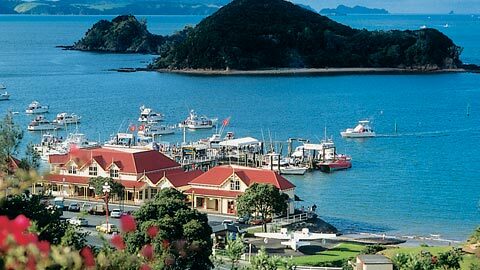 Nearby Paihia is only a four-minute drive from Waitangi. Paihia is the main tourist town in the Bay of Islands and has plenty of accommodation options, as well as a selection of restaurants, shops, and bars. Picturesque sandy beaches surround it. Take the opportunity to venture out into the bay, where you can fish, see dolphins and explore the nearby islands. If you are adventurous, you could even consider parasailing and take in the beauty of the region from above.